Cut it out with 「切れる」! 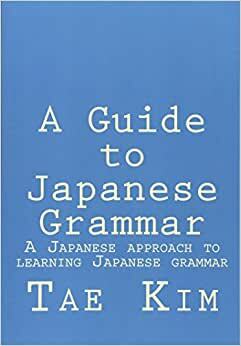 「切れる」, the intransitive version of 「切る」, not to be confused with the short-hand potential form 「切られる」, is one of those common words with many definitions and usages. If you’re just starting out, I would NOT recommend using these definitions verbatim. It’s important to see how it’s used in context in order to see the specific types of situations and common particles used together. Let’s take a look at some examples. For instance, what if you wanted to say something ran out or expired? – The batteries are going to run out soon, so you should buy a new one. – This item is already sold-out. – The sell-by date has already expired so you should throw it out. Or what if your connection gets cut off such as on the phone? – Once entering the tunnel, the signal didn’t reach and the phone got cut off. You can even use it for when you lose your temper. – I couldn’t take it anymore and I lost my temper. Perhaps, one of the most useful thing about 「切れる」 is that you can take the negative and use it as a verb suffix for things you can’t cut off and put an end to. This has a similar meaning to the expression 「切りがない」 for things that have no cut-off point and seems to be endless. As you can see by the examples, you just take the stem of the verb and attach 「きれない」 . – I can’t eat this much (you know). – No matter how much you try, there’s no way you will finish this homework. – Because I haven’t finished getting a handle on the situation, please let me consider/investigate until tomorrow. While the word 「てき」 usually means “enemy”, that’s not the word we’re talking about today. The word I’m going to talk about uses a completely different Kanji from 「敵」 meaning “enemy” and is in fact a very useful and helpful ally. If you’ve studied Japanese for a while, you’re bound to have encountered the 「的」 kanji. While this kanji by itself is read as 「まと」 and means a “target”, its usefulness really shines as a noun suffix. This kanji can be attached to countless nouns to easily change them to a na-adjective. In this case, you read the kanji as 「てき」 and you’ll see it all over the place: 一般的、圧倒的、感動的、習慣的、技術的、基本的、and on and on. Let’s take the word 「感動」 meaning “deep emotion” and say we want to say the following sentence. That movie was very moving. I saw that movie and I was moved. But wait! We can just use 「的」 to make 「感動」 into an adjective! That was a very moving movie. I customarily eat breakfast every morning. In fact, without 「的」 there are just so many things that can’t be expressed. I would definitely put this kanji on my top 100 list. In America, people generally commute by car. It’s better to think of it from a objective viewpoint.